Several years ago I downloaded and played with a physics sandbox called Phun. I was impressed with the physics modeling but thought the user interface a bit too difficult for younger kids (grades 3 – 6) to learn. I am cautious about recommending science-based, educational computer programs to youngsters because a frustrating experience can be counterproductive. Phun has now morphed into Algodoo and I was excited to download and play with this new, redesigned version. 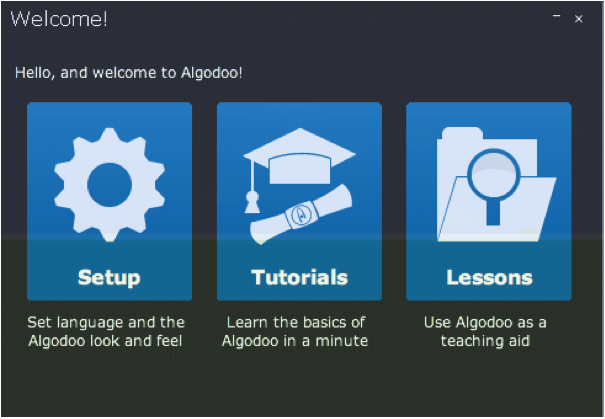 Just understand that Algodoo is not a casual game but a simulation that requires an investment of time to learn. 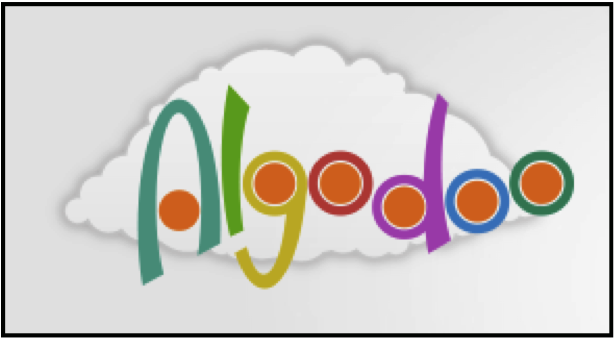 The Algodoo download for the PC and Macintosh platforms is free at (http://www.algodoo.com/download/). There is an option to pay a small, $5, support fee that I happily paid to download my Mac version of Algodoo. An iPad version of Algodoo is available from the Apple App store but costs $4.99 (still a bargain). I made the following video to illustrate how easy it is to simulate a simple physical process, like floating and sinking, with a few clicks of the mouse (or swipe of the finger). It is important that you, your kids, or your grand kids, work through the built-in Tutorials and Lessons listed in the menu option that appears on the opening screen. Also, be sure to spend time in the Help menu. I did and I found it very useful, especially the second menu item labeled Tools. I found a video on YouTube of an incredible Rube Goldberg-style machine built in Algodoo. 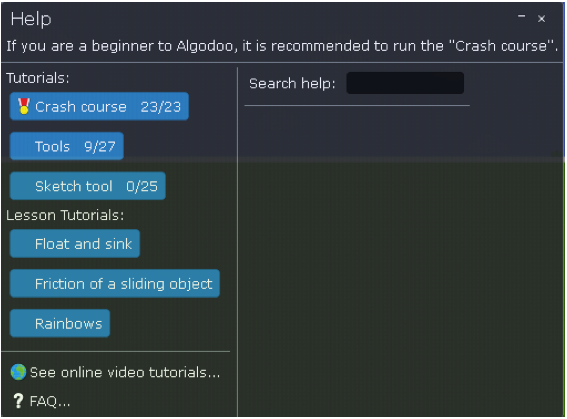 I captured a short, one minute section of the video just to show you what the simple machines that can be constructed in Algodoo. If you would like to view the complete, four-minute video on YouTube, click on the following link. I will be posting short, tutorial-style videos to help speed interested contraption builders along the learning curve.